I’ve been here over the years and seen improvements. It’s family friendly, close to the local playpark, so often has parents and buggies squeezed between the sofas. Laid-back atmosphere contrasts with the City of London and Barbican just a hundred metres south, and the bustling Whitecross market just outside. It is good for a lazy Sunday – even if it is Wednesday afternoon. The coffee is fine – good, strong taste. Perhaps a little too treacly, but not unpleasant. You could easily pass an hour or two. 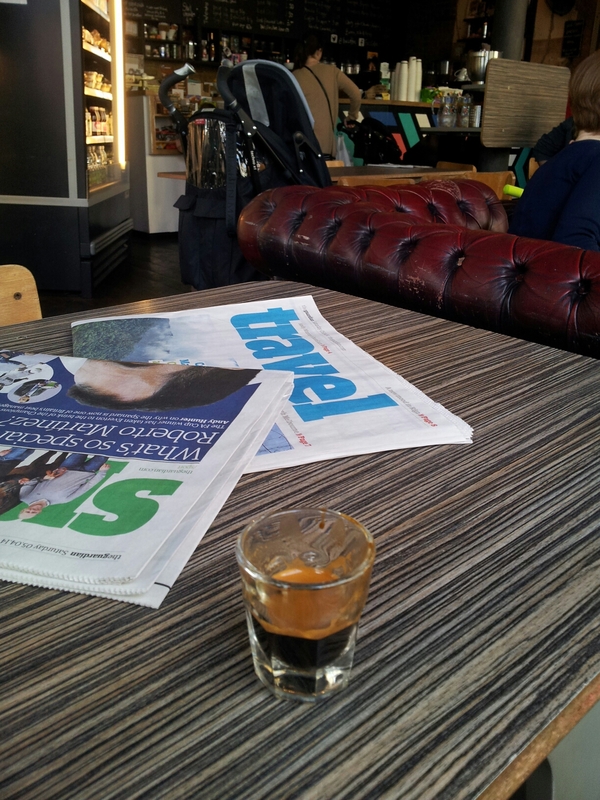 Posted on April 5, 2014 October 11, 2015 by espressolovinPosted in City of LondonTagged Barbican, coffee shops & cafes, market.